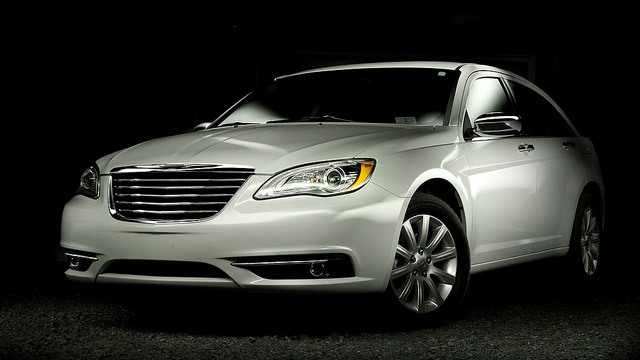 As you drive your Chrysler through the streets of San Leandro, its elegance does not go unnoticed. Whether you drive a Pacifica, Aspen, 200, or 300C, each Chrysler shows a commitment to premium options, materials, and reliability, making it an excellent choice for drivers in Alameda County. Your Chrysler requires maintenance and an odd repair to keep it working at its best. Wright’s Automotive Service in San Leandro is your trusted source for reliable Chrysler repairs since 1977. Our honest, friendly team always puts our customers’ needs first, offering the best customer service while completing each Chrysler repair with precision and integrity. The technicians at Wright’s Automotive Service are well-versed in all Chrysler repairs on all Chrysler models. They are ASE-Certified and have leading-edge technology and equipment to precisely diagnose and repair any issues your car may have, making us your best alternative to the Chrysler dealer. Whether your Chrysler 300C needs the spark plugs replaced in the HEMI engine, your Town & Country needs power steering repairs, or your Sebring has an engine failure, we can take care of it for you. You rely on your Chrysler to operate reliably every time you drive, so we only use original equipment and approved aftermarket parts for Chrysler repairs at Wright’s Automotive Service. For high-quality Chrysler repairs in San Leandro, visit Wright’s Automotive Service – your first choice for quality and convenience. Give us a call or use our convenient online appointment form to schedule your visit today!